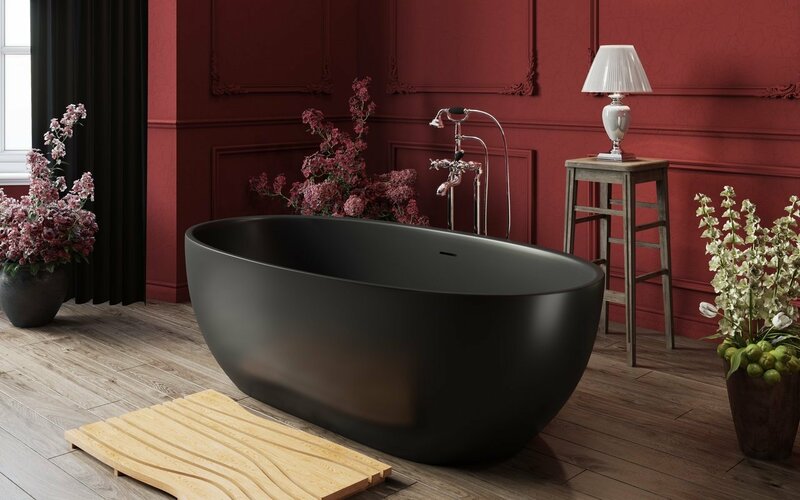 Designed with the same natural oval forms as all Corelia Series bathtubs, the Corelia Black adds a different but refined style to either contemporary or traditional bathroom. 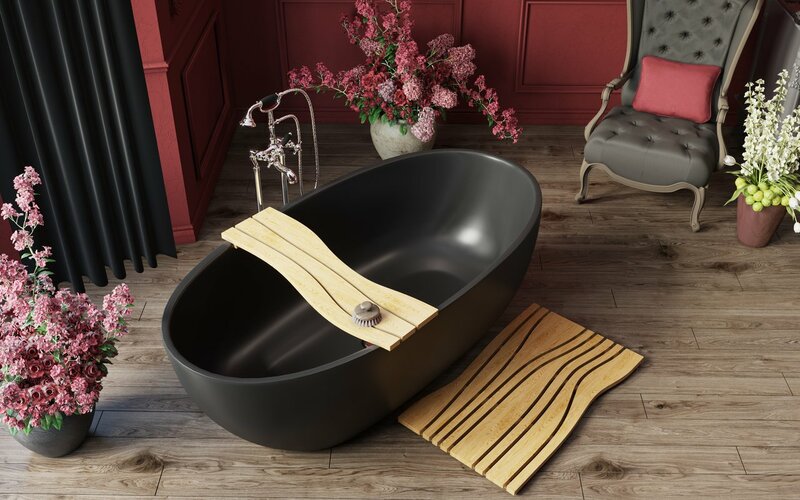 This freestanding bathtub has been constructed using Aquatica’s cutting-edge AquateX™ material, which provides unparalleled heat retention and lifelong durability. The deep-seated construction of Corelia Black allows long, full body soaking and provides added comfort from its ergonomic shape. AquateX™ Graphite Black is solid to the core, an inert, non-porous state-of-the-art material that is very durable, easy to clean and offers superb heat-retaining qualities. 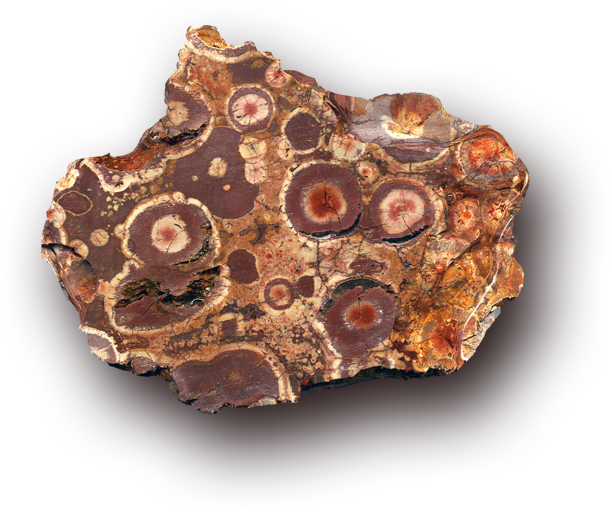 Another lovely, nature-inspired organic form, the Corelia is made for total neck-deep immersion even for tall bathers. The gracefully curved ends flare out to a sizeable 66.5” (163.5 cm) length at the rim, which coupled with the 15.25” (40 cm) interior depth to overflow drain provide room a-plenty for a single self-indulgent soak or delightful shared bathing experience. 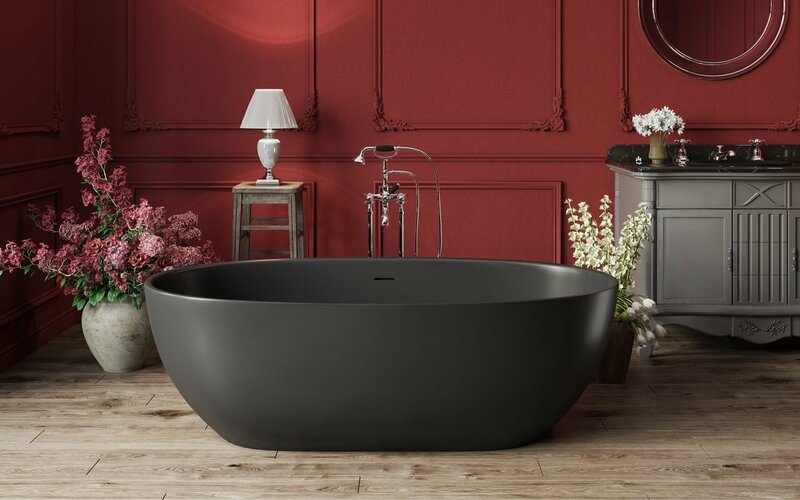 A deep, double ended bathtub, Corelia is designed for absolute bathing pleasure. 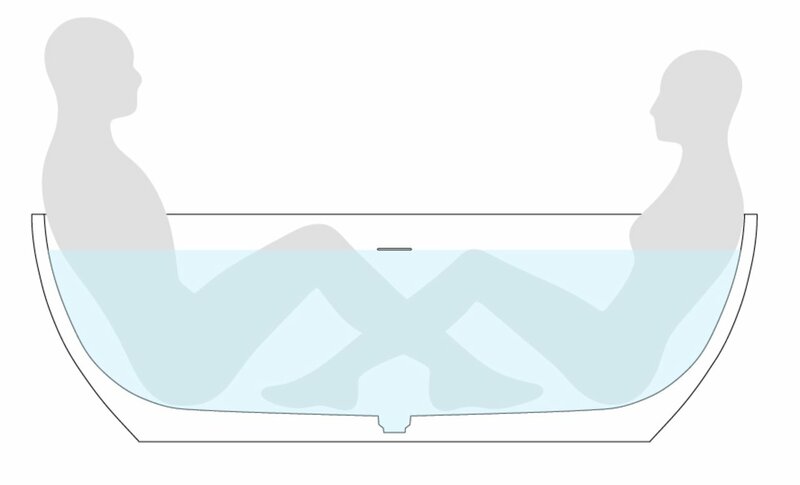 The ergonomic interior provides comfortable back support for that full body soak, in a tub deep enough to provide both neck and head support as well. 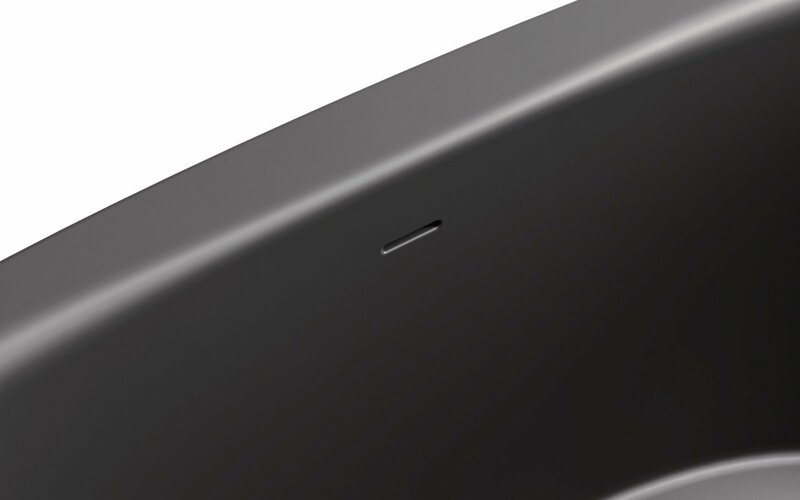 The overflow and drain plug are centrally located and discreetly incorporated into the design. 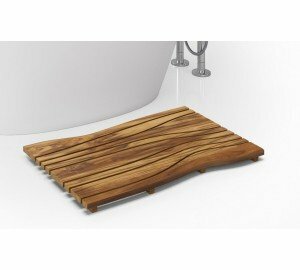 The ideal accessory for your Corelia bathtub, this high quality solid wood table-shelf puts all your bathing essentials right at hand. Crafted from beautiful, robust, durable solid wood, the shelf is totally waterproof so it won’t crack or mar over time. 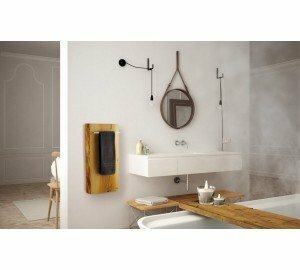 Universal shape to match the rim of the bath, the warm natural finish and lovely wood grain of this shelf sets just the right tone in any bathroom.